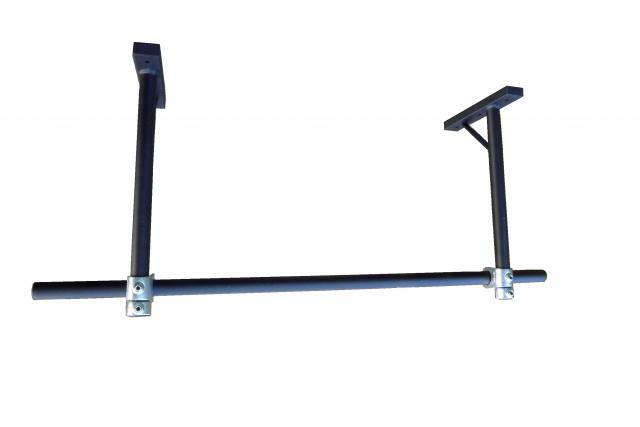 Ceiling mounted pull up bar for either timber or concrete ceilings. Fully welded ceiling brackets with a total of 6 fixings holes. Either timber or concrete fixings can be supplied-please advise. 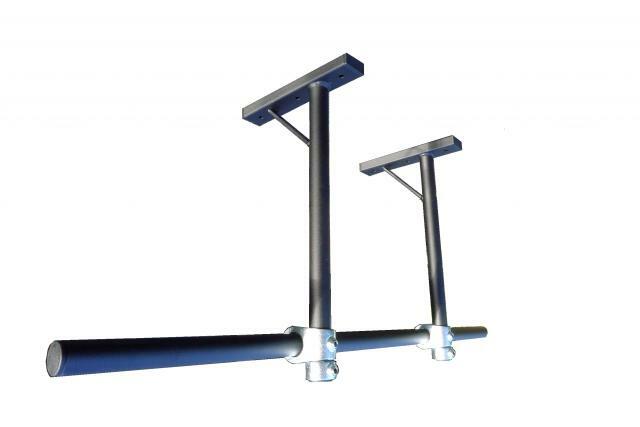 Bar is 1200mm wide, 34mm diameter, very heavy gauge steel tube. 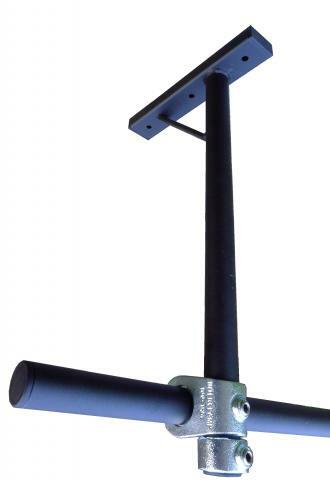 Fully powder coated for extremely durable finish. 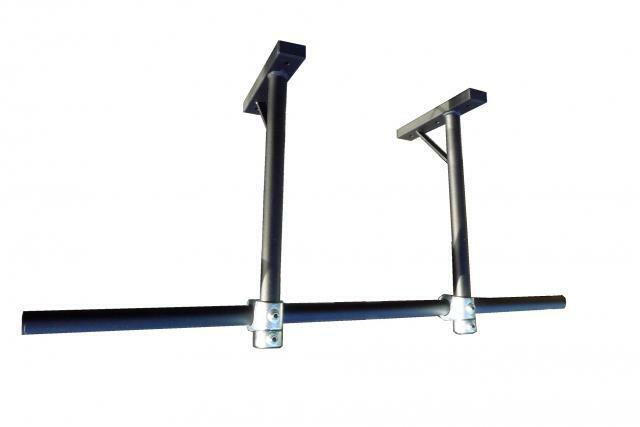 Unique adjustable design means ceiling brackets can be spaced at any distance apart to match your joist spacing, bar can even be mounted along a joist by swivelling the brackets. 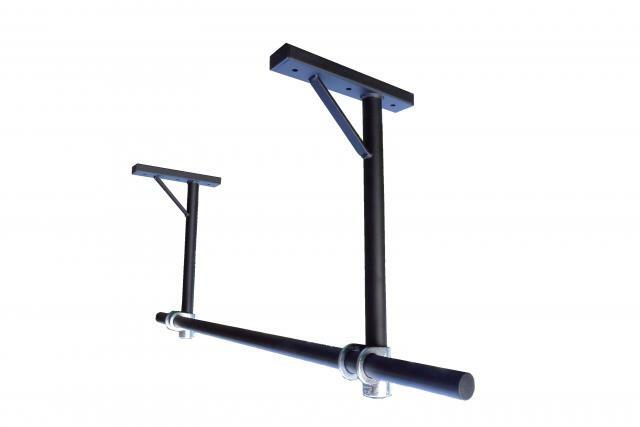 Bar can be mounted at any height along the brackets, it is clamped tight so can't rotate. 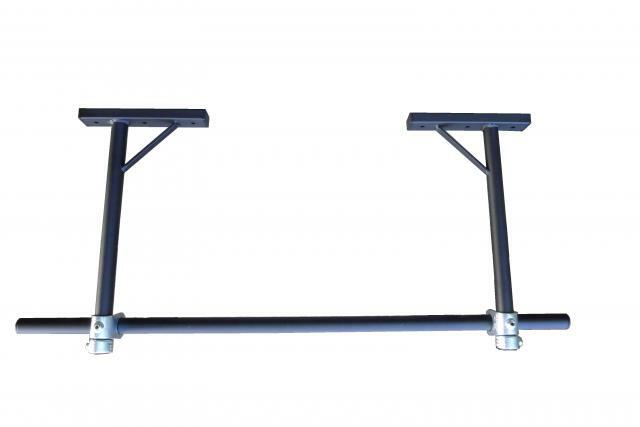 Extremely rigid and strong construction - you won't find better! Price shown includes packaging and shipping to most of the UK, click here for details.